Our Daily Manna ODM 15 November – BOLDNESS IS THE ACHIEVER’S ARMOUR! TOPIC: BOLDNESS IS THE ACHIEVER’S ARMOUR! 2 Tim 1: 7 says, “God has not given you the spirit of fear, but of power and of love and of a sound mind.” Oh, I love that word: SOUND MIND! Sound mind means a mind that is NEVER IN DOUBT OF WHAT HIS/HER GOD WILL DO! Every time you hear the voice of fear in your head, open your mouth and let faith speak! Never let fear stop you from moving forward! A great sport coach has his philosophy, “FEEL THE FEAR AND DO IT ANYWAY.” If you are praying for the fear to go away completely, IT MAY NEVER HAPPEN! DON’T LIVE BY YOUR FEELINGS! Let you heart be filled with bold faith, and let it move you into action. Check out the men and women who have done great things through the pages of the Bible and history, the men who had faced potentially dangerous situations and taken daring risks and came through successfully. Hear Baltasar Gracian’s words: “Put a grain of boldness into everything you do.” Pray with boldness! If you are going to trust God for anything, make it big! He Is A Big God And He Is In The Business Of Doing Big Things. Fear and doubt lead to make small demands! If you are going to dream dreams about your future, make those dreams big! Its only one life! Don’t be afraid of taking risks! Don’t be afraid of knocking on that door! Don’t be afraid of stepping out! If you can do something about it, step forward and do it! If you believe something is right to do, be bold about it because BOLDNESS is the achiever’s armour! Even if the whole world is against you, BE BOLD like DAVID! How many people’s support did David enlist before he stepped out to offer to fight and kill Goliath? None! Oh! NONE! NONE! NONE! But he was courageous and bold! Step out and do what God has called you to do today despite the DELAYS! He is with you, He is all you need! I see testimonies ahead! And amen! Today is my birthday! Pray for me today as you are led! My joy is your testimony! Our Daily Manna ODM 15 November – BOLDNESS IS THE ACHIEVER’S ARMOUR! Basic Scripture: Take any song of worship as you are led. 1. I silence every voice of fear and timidity holding me back in Jesus name. 2. Fear, I resist you in Jesus NAME! I break your power over me NOW! I will take big actions before 2018 ends or as 2019 begins in Jesus name. 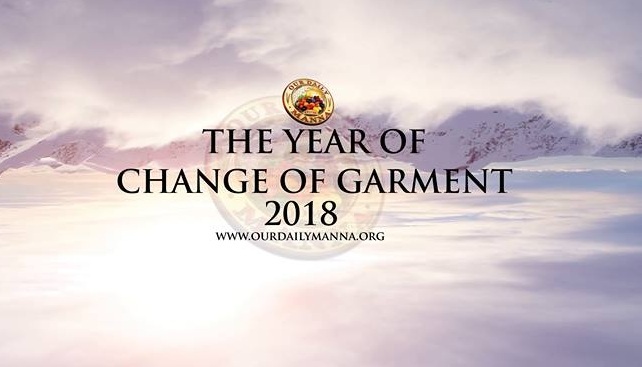 Our Daily Manna ODM 15 November – BOLDNESS IS THE ACHIEVER’S ARMOUR! Previous Post:ODM Daily For 14 November 2018 – THE CHICAGO FIRE: THE MISTAKE OF NOT GOING ON! HappyBirthday Man of God I wish you happy. Return & all grace abundant upon your life & family. Please, I need you to help me with Dr, Chris’s personal account details.Urgent. I am so happy to have birthday the same day as Bishop Dr. Chris, a gifted preacher, happy birthday to you sir wishing you many happy years. Happy birthday to myself too, may God who made big make me even bigger in Jesus name, amen. As you are a success story, more so will I be in Jesus name amen. I am so happy to have birthday the same day as Imho Dr. Chris, happy birthday to you sir, I wish you many happy years ahead. Happy birthday to myself too. May God who made you big make me bigger, as you are a success story, even more so will I be in Jesus name, amen. God bless you sir. Happy birthday Sir,more of Him n less of u in ur life in Jesus name. Happy Birthday to you sir, may God Almighty continually up-hold and bless you. Amen. Happy birthday to you sir, more grace for greater exploits in Jesus Christ name……. Amen. happy birthday to a great man of God….Bishop sir, i pray for more grace upon your live and more anointing….i also use this medium to thank you for the big impact in my life since i started reading the daily devotional, words are not enough to say how blessed i have become…God bless you sir, i wish you long life and prosperity in good health sir….hip hip hip …..hurraYYYYY!!!!!! Happy birth Man of God.May the good Lord increase you in wisdom and strength for the work of His kingdom. Happy birthday sir,more gracefully years sir. Happy birthday to you man of God. Wishing you more of God’s grace , Favour and love In Jesus Name . Wishing you good health this new year and beyond. More anointing over you and the ministry in Jesus Mighty Name .